Passed this place many times as it lays in the Old town in Stockholm. Was just about to leave when mom and daughter passed me and decided to walk just perfectly all the way through this hallway. Picture perfect! There is something soothing in repetitive photos. 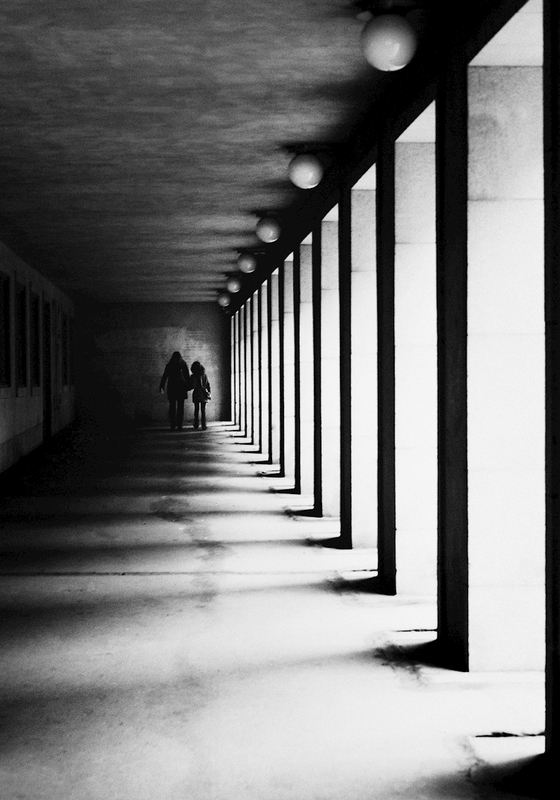 The contrasts in the awesome poster of a mother and daughter walking hand in hand at the end of a long tunnel create a dramatic piece if art and is a cool interior detail in any home.